Through this beautiful book children will learn that their bodies are temples and how to care for them; what a talent is and how to use it; what tithe is; and how to use time well. 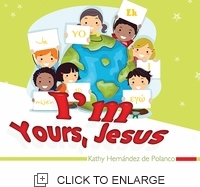 A book to teach children simply stewardship and in language they will understand. ï¿½ Stewardship in language that children understand. ï¿½ Attractive illustrations. ï¿½ Little text, big letters, and easy to read.